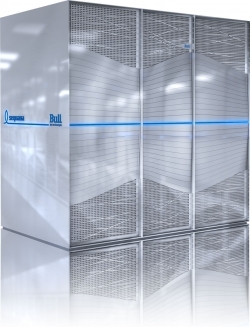 Due to be delivered to GENCI (Grand Équipement National de Calcul Intensif) in Paris, France, by the end of 2017, the Bull Sequana supercomputer has an overall power of 9 petaflops and can carry out 9 million billion operations per second. It will be made available to French and European researchers for use in academic and industrial fields that require extremely high computing and data processing power. In climatology, the supercomputer will help to model past, present and future meteorological conditions within the framework of international activities carried out by the Intergovernmental Panel on Climate Change (IPCC). It will also be used in life sciences, energy and astrophysics research.